Bike Accident Personal Injury Law | Baizer Kolar Neiman P.C. Riders injured in a bicycle or motorcycle accident face many personal injury law questions. You may have suffered serious personal injuries such as a traumatic brain injury, spinal cord injury or broken bones. You may have also sustained significant property damage to your motorcycle or bicycle. It is important to have trusted and skilled lawyers representing you to answer your personal injury law questions and ensure you obtain the compensation you deserve. Insurance companies may be fighting you every step of the way. You need an aggressive motorcycle collision lawyer to fight back. At Baizer Kolar Neiman P.C., our EXPERIENCED personal injury lawyers have years of experience helping individuals injured in motorcycle accidents. 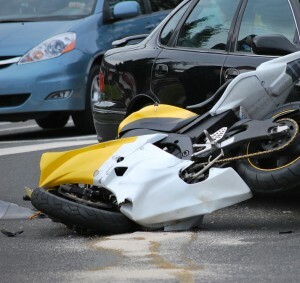 We have successfully represented numerous individuals injured in both single motorcycle crashes and those involving collisions with cars, trucks and other motor vehicles. In many instances, more than one factor causes an accident. The skilled injury lawyers at BK are experienced at investigation and reconstructing accidents to determine all of the factors that may have played a role in causing the accident, and as a result ensuring you get all the compensation you deserve. Riding or driving under the influence. Negligent roadway maintenance or negligent roadway design. Drive defensively. Pay attention to roadway conditions and other drivers on the road who may not see you. Trying to go it alone and battle the insurance companies to get compensation can be difficult. You need an attorney experienced in personal injury law to cut through the red tape. For more information contact an aggressive Chicago personal injury lawyer at Baizer Kolar Neiman P.C. for a free consultation to discuss your car accident case and answer your personal injury questions.